Jimpster is one of the best known names on the worldwide House scene. He is a also a man of many talents, his prowess as a DJ, producer and remixer are legendary. Equally as an A&R and label boss for Freerange and Delusions of Grandeur he has signed some of the most important acts in Electronic music today. 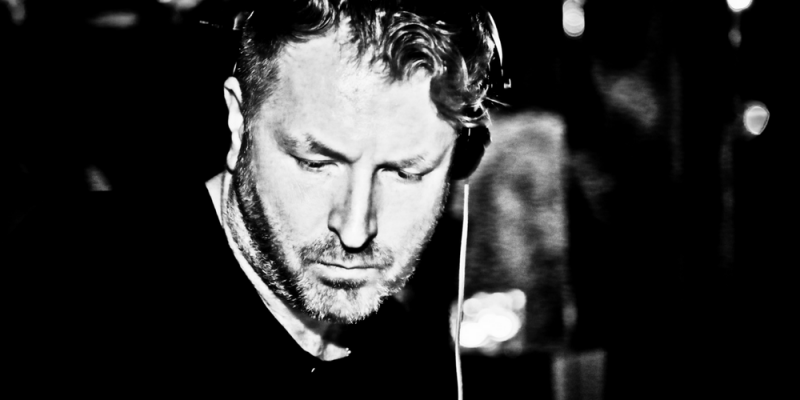 Over the last 2 decades Jimpster has developed a sound with much in the way of grace and warmth and which sounds equally impeccable over a big club system as it does over pair of iphone headphones, a serious skill in itself. As a producer he has much to teach so we though who better to ask for some production tips to help us all get that polished club sound. Check out his brilliant list of resources and personal tips below. It’s a well known fact that sampling from a record will add a degree of noise or other artefacts that can help add depth, air and interest to a sample which you just never seem to get from most sample packs. In the late 90’s and early 00’s there were quite a few shops in the UK selling stacks of cheap warehouse over stocks covering all genres so I spent a lot of time grabbing jazz, ambient, fusion and disco records just for sampling. I quite often try and find single, monophonic synth, string or horn notes and then build chords up from those as a way to get more movement in a sound which you get from the sample running at different pitches. This is my favourite deck to sample from due to it’s +/-60% pitch adjust. This means you can quickly and easily get an idea of whether a rhythmic loop or sound is going to work in your track before even sampling it and enables you to sync up quite extreme grooves from different BPM’s. This simple and cheap audio app saves such a lot of time, enabling you to view audio files directly from your Mac Finder window, and then be able to spot break downs or quieter sections which you can then grab and drag and drop straight into your DAW or sampler as audio clips. I recently ripped a lot of older jazz and ambient CD’s and Snapper is the best way to go through lots of files to find the audio gold. I really like the sound of these plugins from Steven Slate and use them on nearly all my mixes. The Virtual Tape Machines plugin adds some subtle glue on the master channel and the Virtual use Compressors and Console Collection all seem to help give a nice it of polish and warmth to a track. They recently started a subscription service which means you can now have every single plugin from their collection for $15 per month which is pretty decent value for money. Being able to search Bandcamp by really specific genre tags means you can find really interesting and obscure sounds very easily. Just view the list of tags and you’ll soon be disappearing down a rabbit hole of ‘depressive black metal’, ‘witch house’, ‘screamo’ and ‘weird’. Admittedly, you’re going to lose days at a time but at least you’ll discover endless new textures and sonic treats that might just spark a new idea or be the final element you’ve been searching for on your tracks. There are huge amounts of field recordings and lots of these are from cassette which gives an extra layer of noise/ambience to the sounds. This is a really nice sample collection of hardware classics and more unusual gems which I sometimes use. Lots of drum machines run onto tape through high end preamps and then resampled using the likes of the Akai MPC and S612 to get that crunch factor. This is a cheap and easy to use plugin to instantly recreate side-chain ducking – a common creative compression technique used to push your kick to the front of the mix and give your track a sense of energy and perceived loudness. In reality it’s a simple LFO volume shaper but can really help create some space in your mixes if used on reverb sends or large pad sounds and can add instant punch, movement and variation to many different elements of a track. This is the instrument which features most regularly on my own productions and one which I never get tired of using or hearing. The simple tone and dynamic range means it’s surprisingly versatile, making it perfect for chords, individual melodic lines or rhythmic accents. I often run it through my Electro-Harmix Memoryman (with Hazarai) which is a looping delay which lets you build up some crazy looping and reversing layers which I then record as audio and chop up inside Logic. This is a recent book by Talking Heads founder David Byrne which has a lot of really insightful observations and discussions about how music recording and performance has changed over the years, technology and the science behind how and why we react a certain way when listening to music. Even if you’re not a Talking Heads fan this is an interesting read and will make you think about things differently and could provide some inspiration for your next studio session. This is an excellent percussion app for IOS which lets you build up some really in-depth and detailed loops using the built in recorded parts but with a surprising amount of editing possibilities making it really versatile. I love digging this out on a flight and making use of the time to put some patterns together which I can then export as audio for including in my tracks later on. It’s really good value for money when you consider how well the parts are played and recorded and you can buy extra packs for $1 which means you won’t get tired of the same starting blocks.